In May 2016, Tor Books launched the first novel in a new political science fiction series, Too Like The Lightning by debut novelist Ada Palmer. Palmer’s unique vision mixes Enlightenment-era philosophy with traditional science fiction speculation to bring to life the year 2454, not a perfect future, but a utopian one, described by a narrator writing in an antiquated form to catalog the birth of a revolution. The result is The Iliad meets I, Claudius mixed with the enthusiasm of The Stars My Destination and Gene Wolfe style world building. 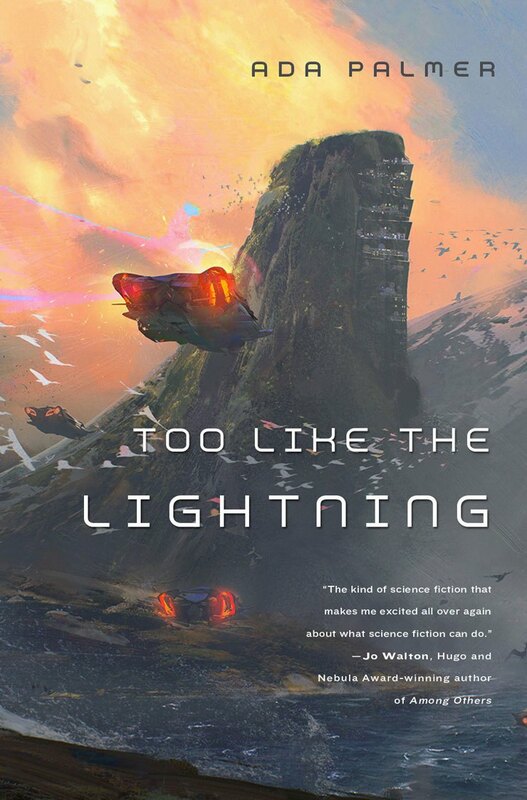 Perfect for fans of Jo Walton, Robert Charles Wilson and Kim Stanley Robinson, Too Like The Lightning is a refreshing change of pace from the current trend of gritty, dystopian novels. Much like Homer telling of heroic deeds and wine dark seas, Mycroft Canner’s narration will draw you into the world of Terra Ignota—a world simmering with gender politics and religious fervor just beneath the surface, on the brink of revolutionary change.